You could discuss everything from Scolari’s selection decisions, Neymar’s absence, Thiago Silva’s absence, or Fred’s absence. You could unfairly comment on Júlio César, who was once third choice at QPR and isn’t even the best goalkeeper in Major League Soccer where he now plays his club football. Dante isn’t Miranda, Dedé, Marquinhos, Dória, or Réver. Fred isn’t any good, and neither is Hulk. 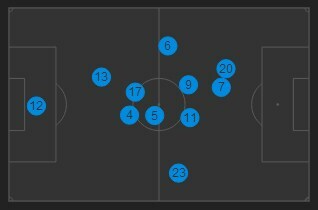 You could mention how their failure to retain possession in attacking areas was an accident waiting to happen, especially when the full-backs are pushed high up the pitch. You could say Bernard’s lack of games for his club this season meant that he wasn’t ready for international football, and especially not ready to come into the side for such an important game. ONE could talk about Willian’s shattered confidence since his penalty miss, or Maicon. Not sure what you could say about Maicon. You might say that Oscar deserved the free role in Neymar’s absence, but instead he spent his time covering for the mistakes of Fred and Hulk. 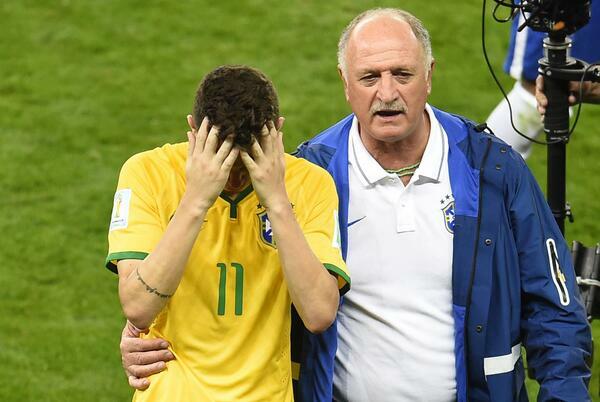 Why bring Ramires on and not Hernanes, Scolari? You could mention that Scolari will blame himself because he’s the father figure in this team, and because it’s partly his fault. You could do all of these things, but this result will have ramifications beyond football, and it would be dangerous to blame anyone involved with the football team at ground level. Maybe it’s now time for Brazil to return to something resembling the side who invented the beautiful game, a guise in which they haven’t been seen since 1982. It’s time for the fans to summon the spirit of Socrates, a key member of this side, and bring his Corinthians democracy to a national level. It’s time for more organisation at domestic level, and time for clubs to work with fans to make football in Brazil fun again, regardless of the result.